Quando uscì nel 1978, quattro anni dopo la sua realizzazione, il gruppo - The Residents - se n'era dimenticato, e fu per decisione altrui. Oggi Not Available torna alla luce sia in cd sia in vinile, in una versione di qualche minuto più estesa di quella pubblicata all'epoca. Precede di un paio di mesi la ristampa in vinile anche del primo album, Meet The Residents. Di entrambi si occupa la statunitense MVD / See of Sound. Not Available was not meant to be released. It was an attempt to take N. Senada's 'Theory of Obscurity' to its logical conclusion. Senada maintained that an artist does his or her best work in isolation, free from the influence of an audience. If the artist is modifying his or her ideas to suit the tastes of the audience the work is being corrupted. This album was not to be released until the band themselves had forgotten completely about its existence, so that there would be no potential audience to influence its development. The idea worked well - the music in Not Available, a mini-opera made up of four "acts" with an epilogue, is excellent and very distinctive. The eventual publication of Not Available came about as the result of a problem with the band. 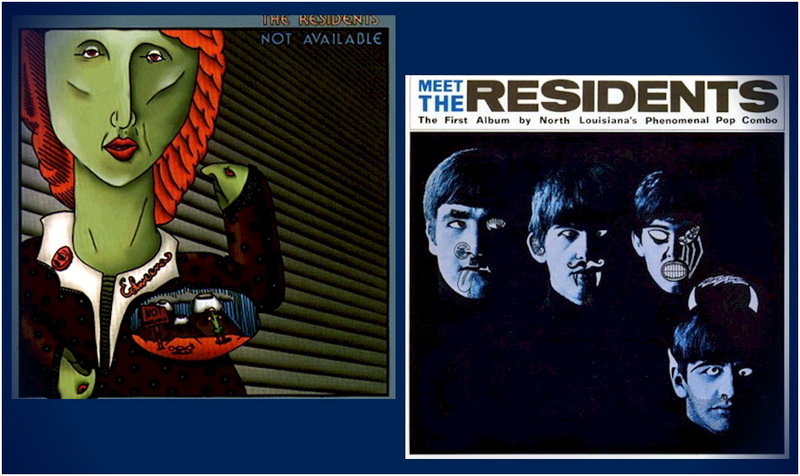 In 1978, The Residents were working on Eskimo, a much-touted major release. However, after a disagreement with The Cryptic Corporation, the band disappeared to England with the Eskimo master tapes. Needing something to release, the Cryptics pulled "some old tapes" off the shelves and released them as Not Available, complete with ads in the UK music press announcing "Now It Can Be Sold." The Residents weren't bothered much by this deviation from their plan, however, since the 1978 decision by someone else to release the album couldn't affect the philosophical conditions under which it was recorded in 1974.